Probation is considered to be a second chance. When a Judge grants probation then the defendant is subjected to certain requirements. These include the need to report to their supervising officer, to pay fees, to perform community service, and more. Unfortunately, there are instances where one does not meet these commitments. Failing to do so, or being charged with another offense, can result in facing a revocation hearing. This can result in the original sentence being imposed and the accused serving a prison term. As a Peoria probation violation attorney, I assist with cases where one is accused of violating their supervision. If you need to speak with a lawyer then contact my office today. Failure to inform the supervisor of changes to one’s address, employment, etc. Not meeting requirements such as fees, community service, etc. 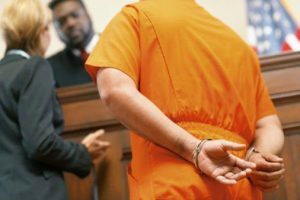 It is with the Judge’s discretion to determine whether or not the defendant’s probation should be revoked and whether incarceration should be imposed. It is important to understand that the Judge is not required to impose incarceration, even if the supervising officer and prosecutor are requesting it. It can greatly improves one’s chances to have an attorney who can make their case to the Court. I am a Peoria, Illinos criminal defense lawyer handling probation revocation proceedings. I will immediately determine the nature of the violation and will work to find the best resolution possible. This may include a negotiation where the defendant is reinstated with additional conditions imposed. If a negotiation cannot be reached then it may be necessary to oppose the revocation at a hearing. I will call all necessary witnesses to prove that the accused has been a productive member of society while on supervision; such witnesses will testify in regards to issues including work history, community involvement, etc. As a former prosecutor with over twenty years of experience, I know what to expect from the process. Do not risk your future to a lesser experienced attorney. Contact my office today. I believe that everyone is entitled to the most aggressive level of representation. This includes those who are accused of violating probation. I strive to provide a high level of service. I quickly responds to messages and strives to stay in contact with his clients. This is my approach in each and every case I handle.